Oh my, how I have missed blogging! I have been traveling an EXTENSIVE amount for work and this weekend was the first time I was home and settled. It feels so good to resume my leisurely breakfasts on my terrace, nature walks and getting my beauty sleep! Anyways I hope everyone has been loving life! I made the most spectacular fish dinner last night. 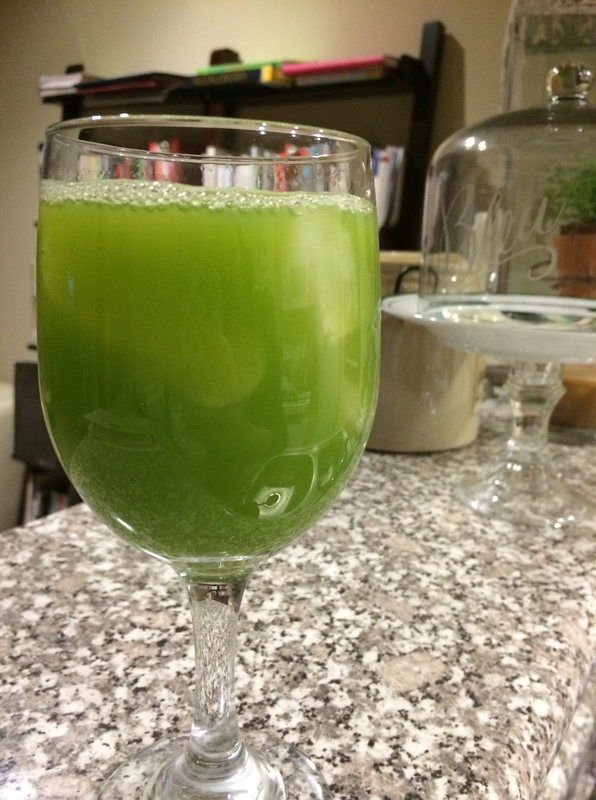 I have to share the recipe with you all. 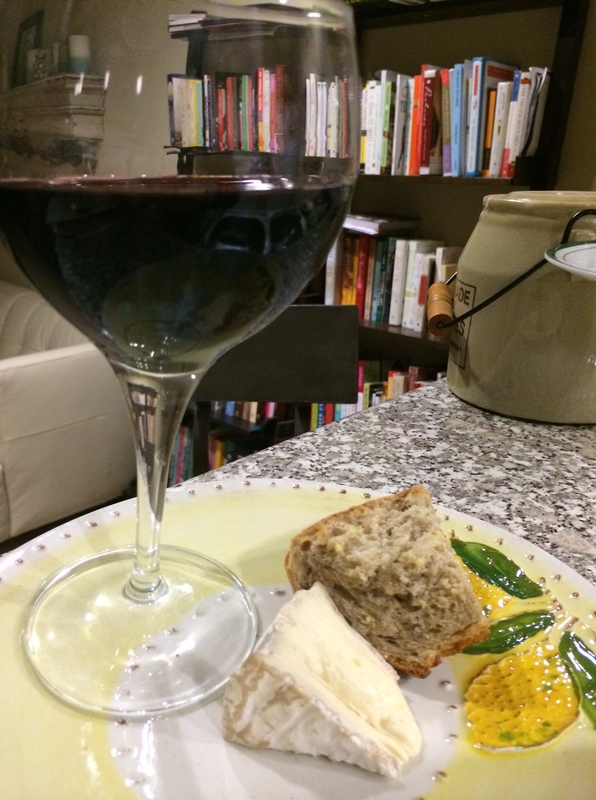 I came home and I wanted to plan a special night for myself…there is no better way in my opinion than bringing in the essence of France and having a 4 course meal. I put on french cafe tunes, light candles, pop open a bottle of wine, pour myself a glass and get cooking. 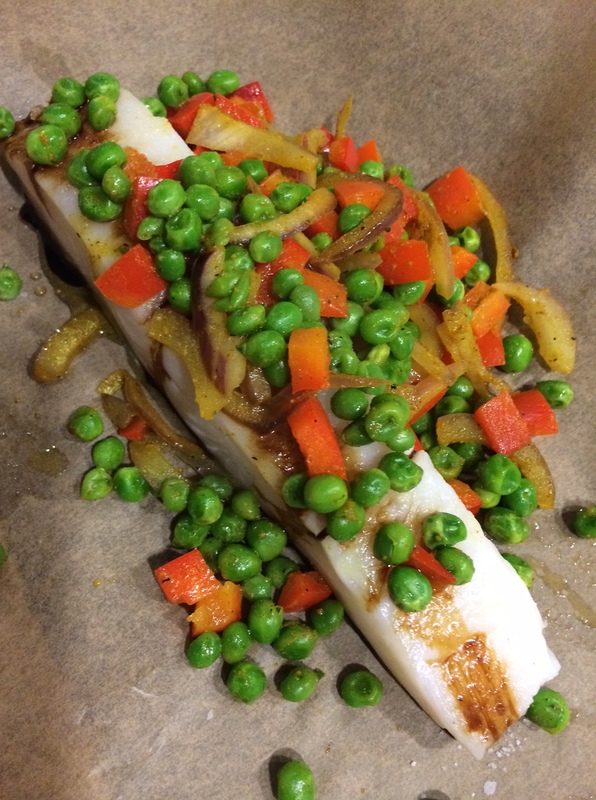 I made Turbot in Papillote with Curried Vegetables. I will walk you through how easy this dish is and it was seriously restaurant worthy. Perfectly cooked! The method of “Papillote” is literally translated in french as cooking in parchment. It is a method of cooking in which the food is put into a folded pouch and then baked. This is so simple, so fast and the best part of all…NO clean up! AND of course perfectly cooked proteins. You can do this with chicken as well. To start sauté your veggies in a little olive oil and season with salt, pepper and curry powder. Sauté 5-7 minutes. Remove vegetables to a plate and reserve. Deglaze your pan with 3 tablespoons balsamic vinegar and 2 tablespoons water. Cook just 2 minutes until reduced to a delicious syrup consistency! 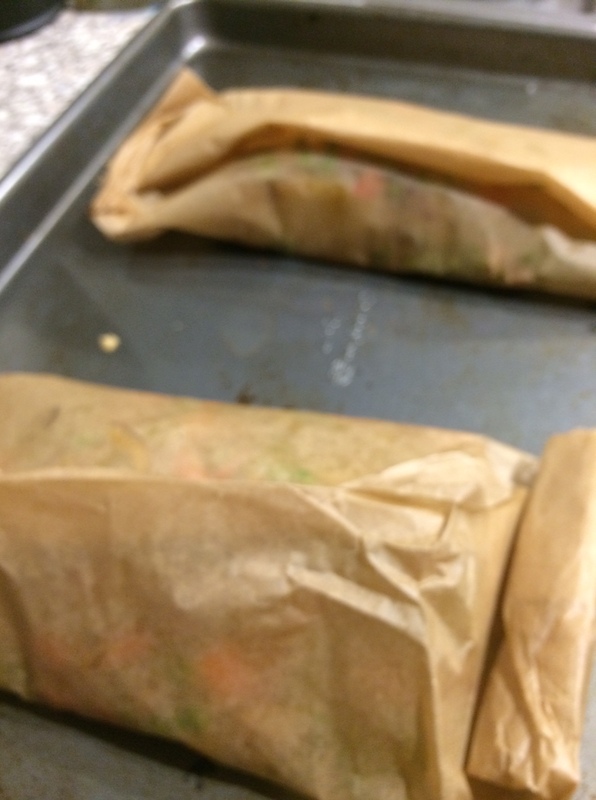 Then take a 12 X 16 square of parchment…dot with a little olive oil and place your fish fillet skin side down. Season your fish fillets with salt and pepper. Spoon a few tablespoons of sauce over the fish and top with 1/2 your vegetables. Now, you are going to take the edges of the parchment and bring to center fold them down tightly. Seal the ends by folding tightly. This should create a packet. Make sure everything is tightly sealed. Bake on a baking sheet for 15 minutes at 400 degrees F. Serve immediately. Place parchment pouch on a plate and open up your packet…allow for the steam to rise and inhale with the delicious smells before taking a bite! This recipe is so versatile you could use any combination of vegetables and up the portions. Great dish for a party! You can also use chicken or any kind of fish. I used Turbot which happened to look beautiful at Whole Foods Market. Any white flakey fish or salmon would be wonderful! If you are using chicken up the cooking time by 5 minutes. This was my main course, but like I said I wanted a two hour 4 course meal. A typical french meal would consist of bread, red wine, salad, main course – very often fish and vegetables, cheese, and either chocolate, fruit or a small dish of plain yogurt. 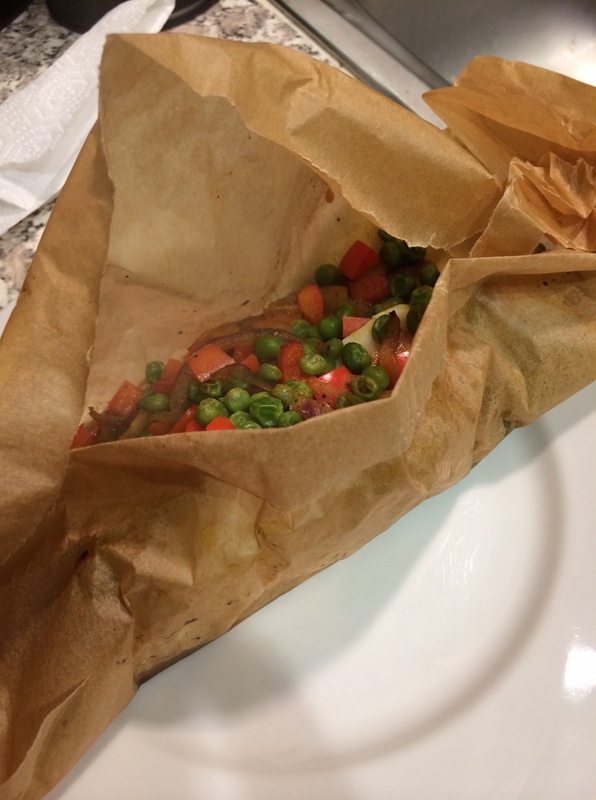 Then I have my main course (fish in papillote with veggies) followed by a small slice of camembert with a small hunk of whole grain bread…and a little red wine. Dessert was a square of 86% rich dark chocolate along with some black tea. Heat olive oil in a sauté pan and sauté your vegetables for 5-7 minutes over medium high heat. Season with salt, pepper and curry powder. Remove to a plate. Take your vinegar and water and deglaze your pan. Simmer for two minutes then remove pan from heat source. 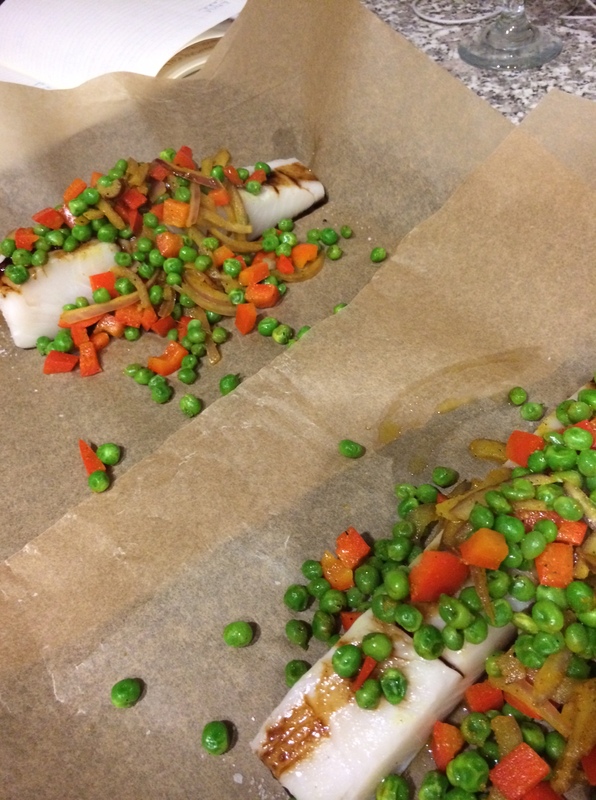 Place your fish fillets on their own square of oiled parchment. Season fish with salt and pepper. Spoon 2 tablespoons sauce over your fish. Spoon 1/2 of the veggie mixture into each parchment square. Fold parchment and seal to create a pouch. Place pouches on a baking sheet. Bake for 15 minutes at 400 degrees F.
Enjoying a croissant with jam- DELISH! Heading out soon to take a long walk and then cooking another beautiful dish! Have a fabulous Sunday everyone! Alan! Thank you… It is so easy! You will love it! Looks Fabulous Krista!!! Thank you for the great French dinner menu and recipe! I LOVE it Krista! Fish and curried vegetables is a great combo. AND I really like your 4 course meal…what a great way to celebrate and make any meal special. I’m always learning something new in your blog…Bonjour! Bonjour Angie! So glad! Yes fish and curry is a great combo!